NASA once again makes history with the New Horizons Spacecraft's recent flyby of Ultima Thule, the furthest flyby ever recorded. NASA’s New Horizons spacecraft just survived a flyby of a distant object in the Kuiper Belt – the Ultima Thule. NASA just made history (again) after its New Horizons spacecraft swept past Ultima Thule, an icy world located in the outer edge of our Solar System. The flyby, confirmed yesterday by researchers at the Johns Hopkins Applied Physics Laboratory, occurred around 6.5bn kilometers away. It is now considered the farthest exploration of any world in history. “The flyby of Ultima is the farthest exploration of any world in history, it’s as farther beyond Pluto as Saturn is from Earth – and in addition, the first exploration of a primordial Kuiper Belt Object,” Alan Stern, Principal Investigator of New Horizons, told IFLScience in an interview. 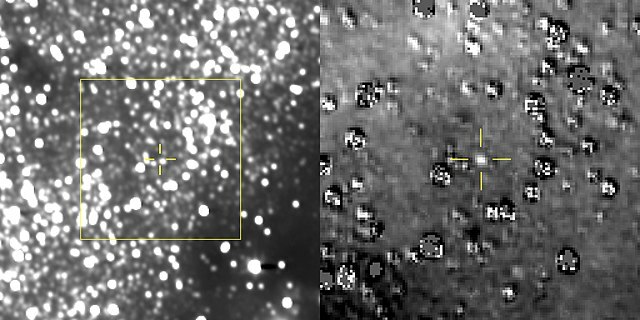 During the encounter, New Horizons reportedly took gigabytes of photos and observations of its surroundings. The probe will soon send these back to Earth in the coming months. The confirmation signal was picked up by NASA’s large antennas located in Madrid, Spain. As a testament to the vast distance between us and the probe, the message took over six hours to reach Earth. “We have a healthy spacecraft. We’ve just accomplished the most distant flyby,” Alice Bowman, NASA’s Mission Operations Manager, announced. The initial radio message received by NASA primarily contained engineering information on the status of the craft. However, it also included confirmation that the spacecraft completed its observation mission of the Ultima Thule its onboard storage memory was full. Downlink of the message today will give us a glimpse of what the New Horizon’s cameras managed to capture. But, NASA scientists also hope that the probe’s timing and orientation was spot on. If off by even a slight measurement, it may not capture images of Ultima but just empty space. What mysteries surrounding the Solar System do you believe the New Horizons spacecraft will help uncover?